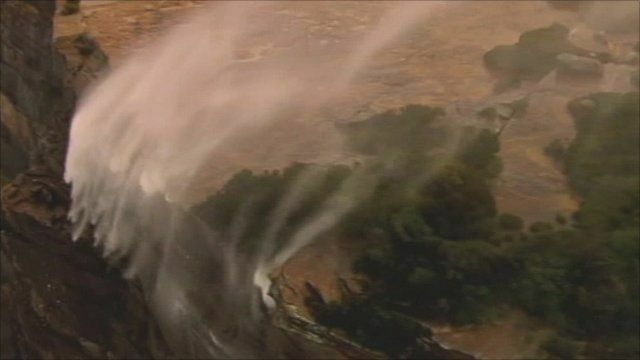 Waterfalls blown upwards in high winds Jump to media player Winds battering southern Australia over the last 24 hours have been so strong that spray from waterfalls south of Sydney has billowed up into the air. 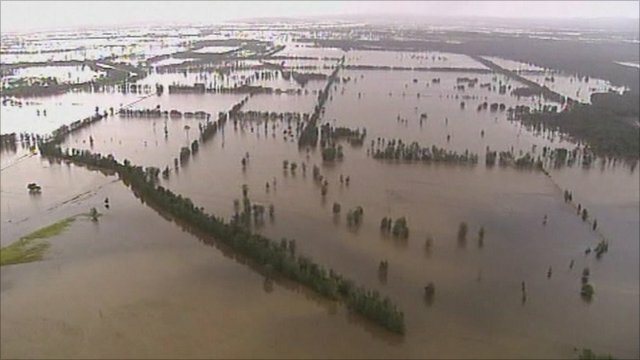 Australia's flood 'disaster area' Jump to media player Parts of New South Wales are declared natural disaster areas following days of heavy rain. 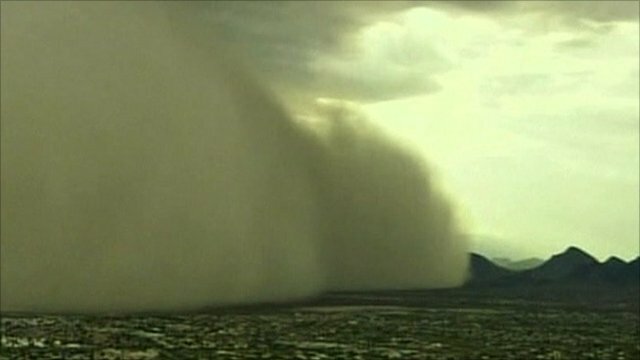 Phoenix hit by second dust storm Jump to media player A giant wall of dust rolled through the Phoenix area on Monday, the second giant dust storm to hit Arizona in the monsoon season this year. 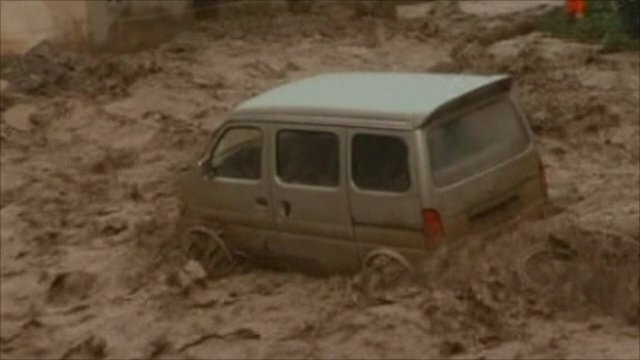 Heavy rains cause chaos in China Jump to media player Heavy rains have caused widespread flooding and landslides in Yajiang province in south-west China. Nearly a month's worth of rain has fallen on the city in 24 hours, and wind speeds have reached 120km/h (75mph). The extreme weather has meant a rough ride on the city's ferries, and a high surf warning has been issued with waves expected to reach 5m (16ft).